GSAS 248 tabletop digital microscope is a total autofocus digital microscope camera with exchangeable lenses, 2MP high definition, HDMI connection. The GSAS 248 is easy to setup and operate, suitable for applications in laboratories &classrooms. 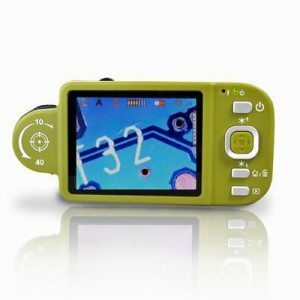 It can be plugged into a high-resolution monitor with HDMI cable (1080P high quality). A user can control focus, zoom, white balance, exposure value and luminance through the IR remote control. Its lens can be changed and within the focal range, one can choose suitable image parameters and ensure the best image quality. GSAS 2412 tabletop digital microscope is a total autofocus digital microscope camera with 5MP high definition and USB connection. The GSAS 2412 is easy to setup and operate, suitable for applications in laboratories &classrooms. It can be plugged into a computer with USB cable. The included Vitiny software allows users to view a live image, capture images and videos, measure, and edit. A user can control focus, zoom, white balance, exposure value, and luminance. 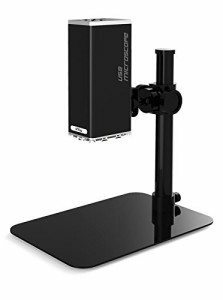 GSAS 236 tabletop digital microscope is a total auto focus digital microscope camera with exchangeable lenses, 5MP high definition, HDMI and USB connection. The GSAS 236 is easy to setup and operate, suitable for applications in laboratories &classrooms. It can be plugged into a computer with USB cable, or a high resolution monitor with HDMI cable (1080P high quality). The included Vitiny software allows users to view a live image, capture images and videos, measure and edit. A user can control focus,zoom, white balance, exposure value and luminance through the IR remote control. It’s lens can be changed and within the focal range, one can choose suitable image parameters and ensure the best image quality. 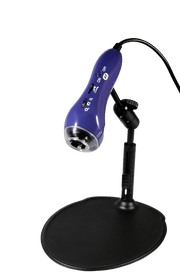 GSAS 223 is a portable digital microscope having a full color display which facilitates users to inspect objects, capture images in high magnifications and record videos that can be transferred to a PC. The driver software bundled with the microscope has many useful functions like measurement of length, angle, and area of objects etc. GSAS 223 is ideal for the professional applications such as educational research, quality inspection, medical observation, and anti-counterfeit. GSAS 225 is a USB based Digital Autofocus Microscope which facilitates users to inspect objects, capture images in high magnifications and record videos. 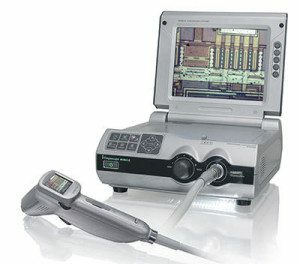 The driver software bundled with the microscope has many useful functions like measurement of length, angle, and area of objects etc.The GSAS 225 is ideal for a variety of applications including Quality Control, PCB inspection, textile inspection, printing inspection, IC Device inspection, living creature examinations..etc. GSAS is an authorized distributor for Sometech’s Industrial MicroScope or the GSAS IMS. 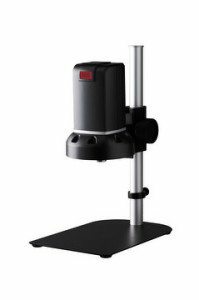 The microscope is a mobile type or the desktop Type where the mobile type has a built-in high efficient battery(available 90 minutes) and its own 8.4″ LCD monitor is very convenient to use on the ground. The desktop type connected to other monitors as per the customers’ needs which make it cost effective.